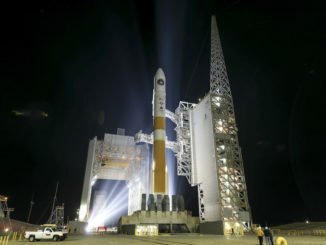 A dramatic automatic abort 7.5 seconds before the planned liftoff of a United Launch Alliance Delta 4-Heavy rocket Saturday night kept the towering launcher on the pad at Vandenberg Air Force Base, California, with a top secret spy payload for the National Reconnaissance Office. 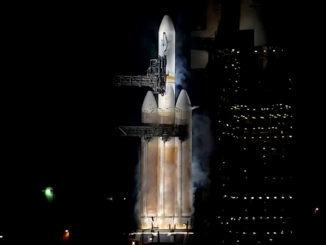 A United Launch Alliance Delta 4-Heavy rocket stands 233 feet tall at Space Launch Complex-6 at Vandenberg Air Force Base, California, ready for liftoff Saturday night carrying a top secret U.S. government spy satellite into orbit. 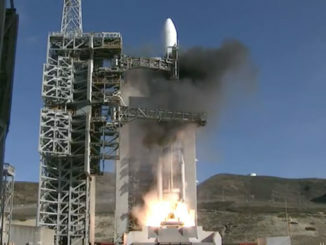 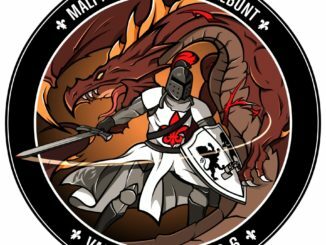 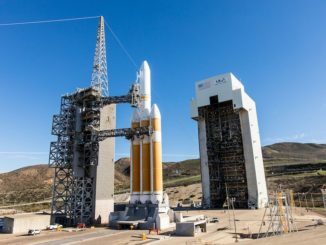 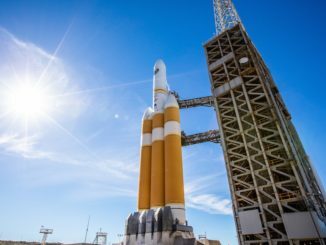 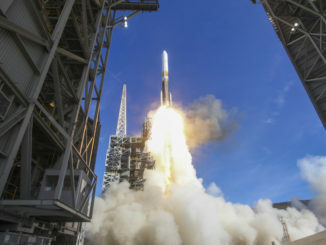 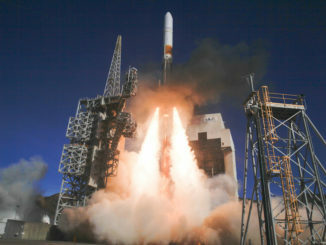 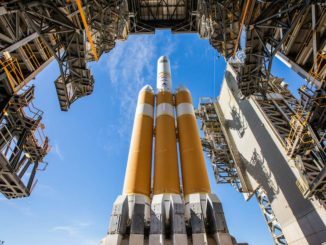 United Launch Alliance called off the planned liftoff of a Delta 4-Heavy rocket and a classified National Reconnaissance Office spy satellite from Vandenberg Air Force Base in California on Wednesday after indications of elevated hydrogen concentrations around one of the launcher’s main engines. 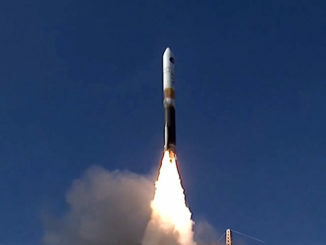 Three previous launch attempts were scrubbed by technical concerns and bad weather.